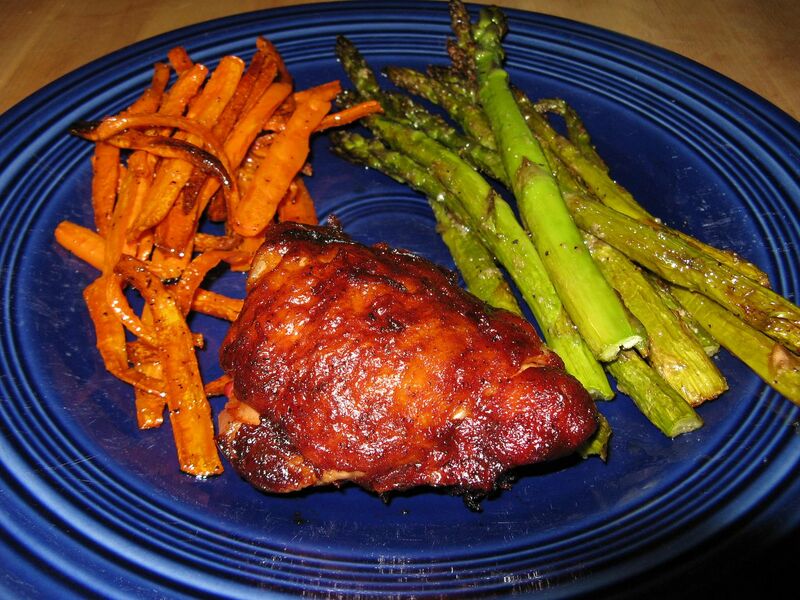 I heard about this recipe while listening to sports talk radio on the way home from work one day. Of all places to get a recipe. 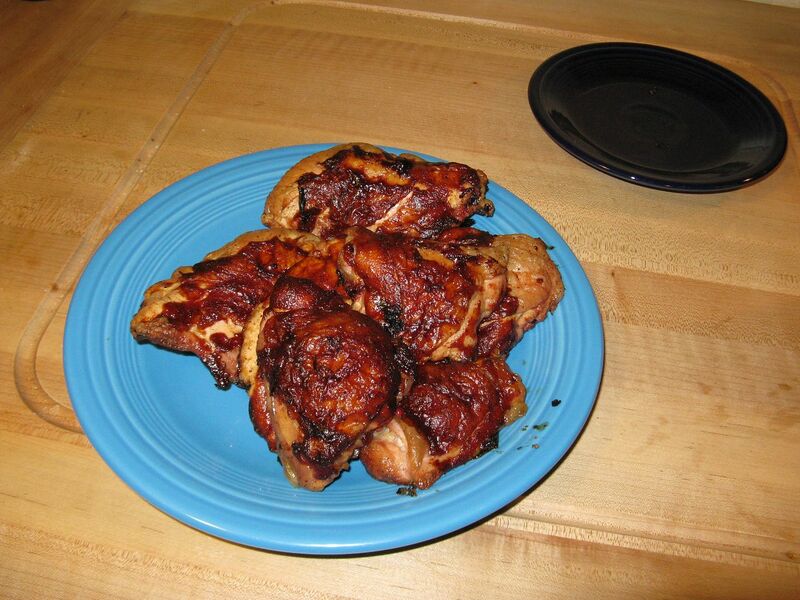 Josh Miller, the ex-Steelers punter, was talking about this recipe and I decided to give it a try as a side for some BBQ'd chicken. First, clean and peel some whole carrots, slice thinly lengthwise, then cut in half. 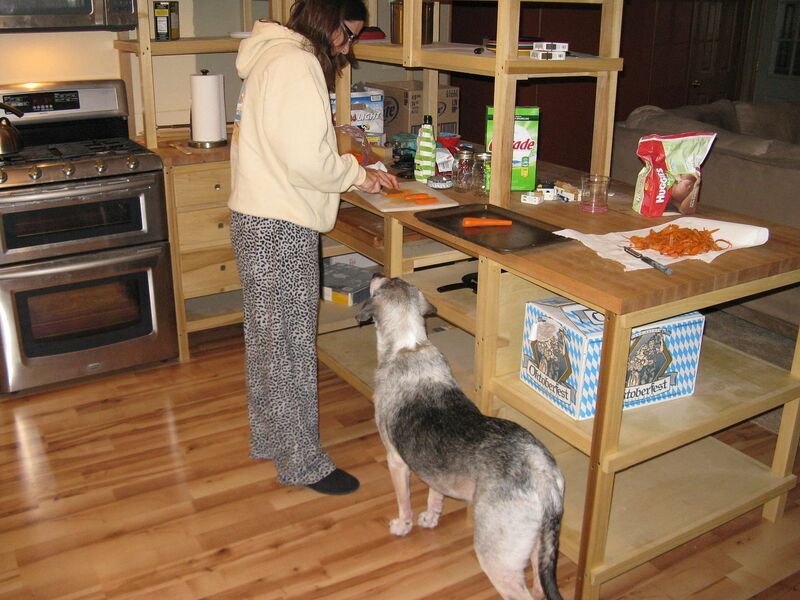 Keep your dog out of the kitchen if they love carrots. I took some olive oil and added some sea salt and fresh grated black pepper. 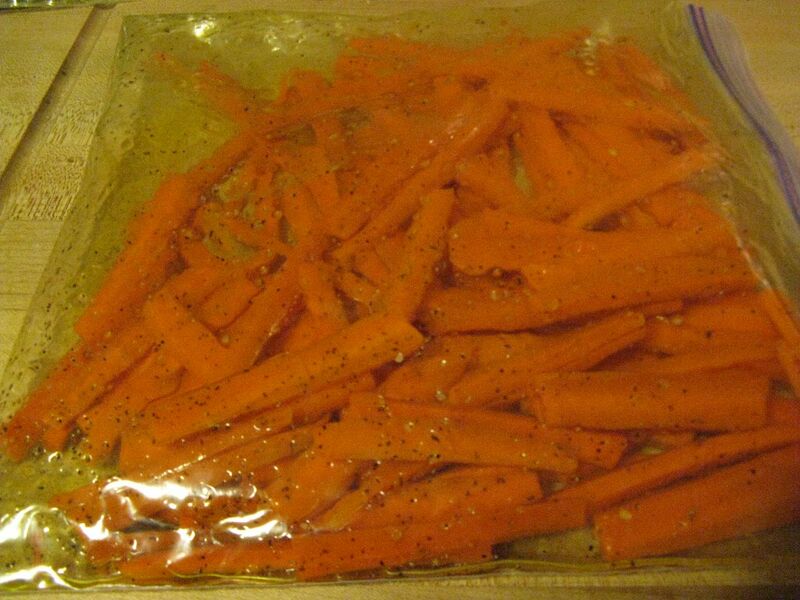 Then, I put the carrots in a bag with some olive oil and let sit. 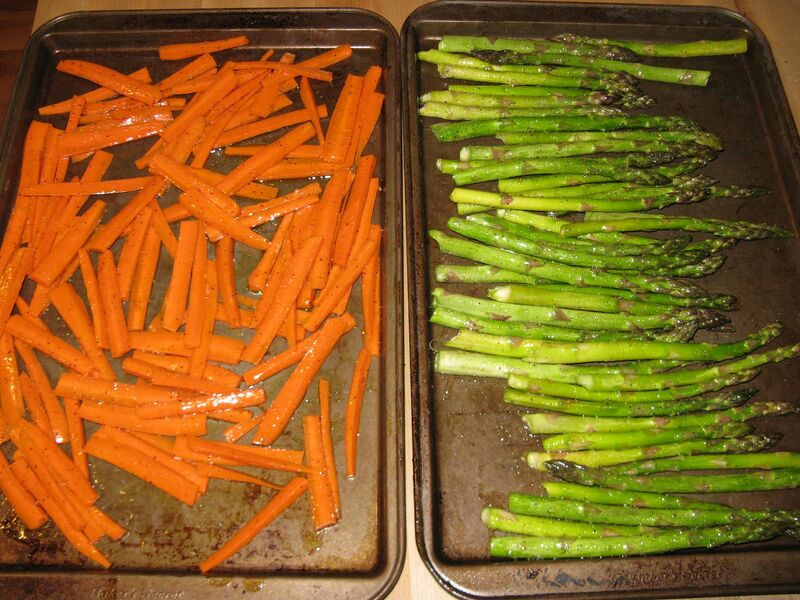 Spread into a single layer on a cookie sheet for roasting. I did some asparagus at the same time. I placed on the top rack of our smoker at 350 F. After 20 minutes, I stirred with a spatula, then let cook for 20 more minutes. Here is what the final product looked like. Crispy and sweet with a hint of salt. 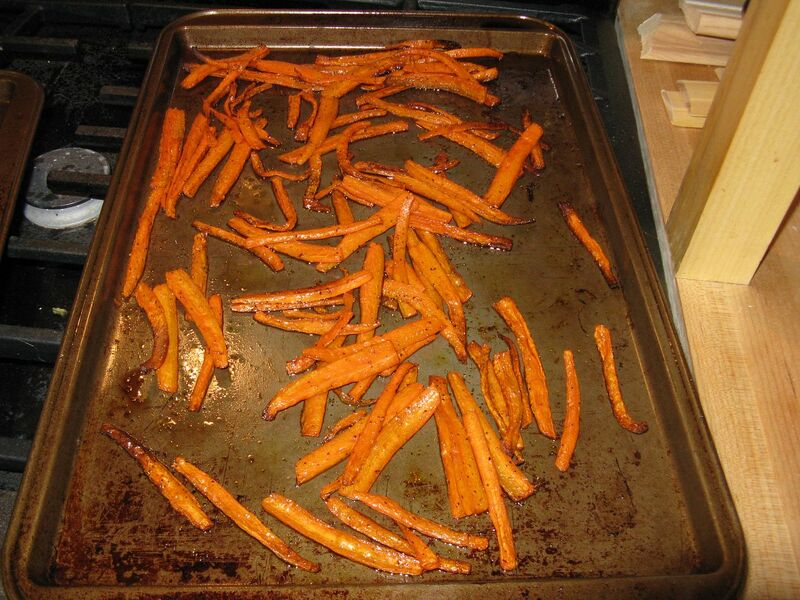 They tasted just like sweet potato fries. Good stuff. We will be making this again for sure. They went really well with our BBQ'd chicken. Thanks for the idea Josh. I get the feeling the dogs knows what he is doing.